other racing official as designated by the Racing Officials Accreditation Program. Graduates of the University of Louisville or University of Arizona with a bachelor's degree in the Racetrack/Equine Industry Program or completion of the University of Louisville Equine Industry Program Certificate in Equine Business shall receive credit for 100 days of experience and thus must complete only 125 additional days as a licensed racing official. Participants in the ROAP Apprenticeship Program shall receive credit for up to 60 days of the apprentice program. (iii) 15 or more years: a credit of 175 days and thus must complete only 50 additional days as a licensed racing official or completion of ROAP Apprenticeship Program. For the avoidance of doubt, no credit is received for any year where the jockey did not have at least 200 starts. If (a), (b) or (c) is not applicable, a person may request (in writing) satisfaction of the minimum experience qualifications for Flat Racing Accreditation Level III pursuant to one or both of the following experience criteria and by providing documentation supporting that request. (e) Experience in the horse racing industry of a character and for a length of time sufficient, in the opinion of the Racing Officials Accreditation Program, to meet the requirements above. To submit a petition for experience review under (1) (d) or (e), individuals must prepare a personal statement which thoroughly explains their experience in the racing industry. Positions, dates, and number of live racing days worked (if applicable) must be included. Anything previously provided to ROAP, such as former letters of recommendation or work experience will already be included. Additional letters of recommendation, a resume, job descriptions, and any other supporting documentation may also be submitted. ROAP staff will present the documentation to the ROAP Education Committee for review at their next scheduled meeting. The ROAP Education Committee meets approximately once every two months and decide experience petitions by majority vote. *Note: Days worked as a Steward to meet the minimum requirements under section (1) can be counted toward the 50 days required to achieve Flat Racing Accreditation Level II status. all continuing education requirements are current. Graduates of the University of Louisville or University of Arizona with a bachelor’s degree in the Racetrack/Equine Industry Program shall receive credit for 100 days of experience and thus must complete only 125 additional days as a licensed racing official within 10 years. For the avoidance of doubt, no credit is received for any year where the driver did not have at least 200 starts. If (a), (b) or (c) is not applicable, a person may request (in writing) satisfaction of the minimum experience qualifications for Harness Racing Accreditation Level III pursuant to one or both of the following experience criteria and by providing documentation supporting that request. (e) Experience in the pari-mutuel racing industry of a character and for a length of time sufficient, in the opinion of the Racing Officials Accreditation Program, to meet the requirements listed. *Note: Days worked as a Judge to meet the minimum requirements under section (1) can be counted toward the 50 days required to achieve Harness Racing Accreditation Level II status. The USTA will continue to license other officials and offer educational programs for these officials. Officials who wish to qualify for accreditation as stewards/judges must hold a valid USTA officials license thereby meeting all licensing requirements of the USTA in order to qualify for accreditation as a steward/judge. Candidates for presiding steward/judge must have at least 150 days of experience as an associate judge as defined by the United States Trotting Association (USTA). 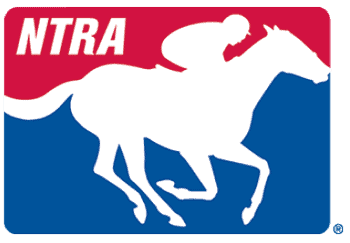 Candidates for associate steward/judge must have at least 150 days of experience as a licensed racing official as defined by the USTA (i.e. ; racing secretary, identifier, clerk of course, program director, patrol judge, paddock judge or other racing official as determined by the Racing Officials Accreditation Program). *This is the most experienced level of accreditation. This position is designated by NSA Steward Advisory Board yearly.